Washington D.C. bus riders get meningitis scare: What is viral meningitis? (CBS News) Washington D.C. residents are on alert after a bus operator came down with viral meningitis. 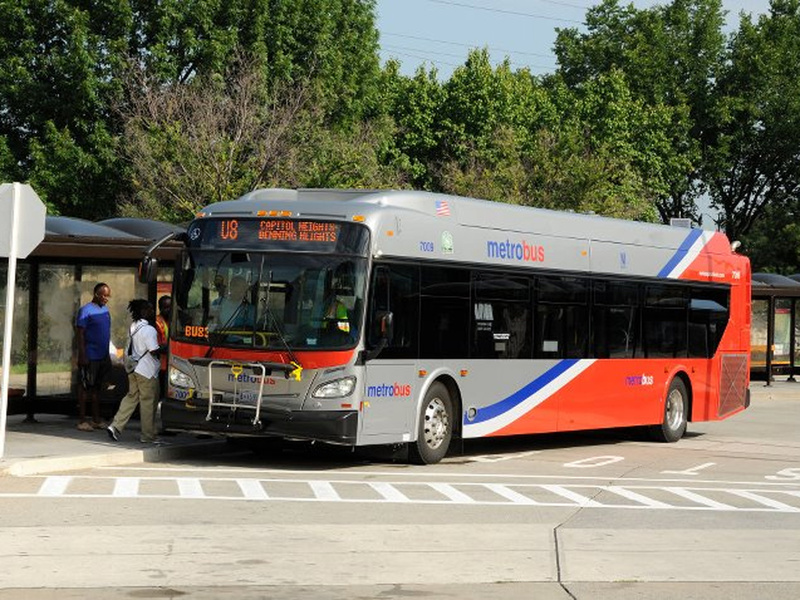 The bus driver last worked on Friday morning on a bus assigned to the 14th Street Line on Route 52 and 54, and it is not believed he went on any other bus during his shift, according to the Washington Metropolitan Area Transit Authority. Before that, he had been on vacation. The vehicles in question have been removed from service to be sanitized, and all 164 buses in the fleet were to be disinfected Monday night. According to the New York State Department of Health (NYDOH), viral meningitis is an infection of the thin lining covering the brain and spinal cord known as the meninges. It normally occurs during the summer months and is caused by a virus, as the name would suggest, the Center for Disease Control and Prevention said. The disease is most commonly caused by the spread of "enteroviruses", which often spread from person to person through contaminated feces or saliva and other bodily secretions of an infected person. Most people infected with enteroviruses will not develop meningitis as a complication of the illness, the CDC said. Symptoms include nausea, vomiting, sensitivity to light, stiff neck, headache, irritability, low fever and an altered mental status. They normally appear 3 to 7 days after exposure and can last for 3 to 10 days. There are no medicines or antibiotics to treat the disease at this point, but it is less severe than other types of meningitis and normally goes away after rest and lots of fluids for people with normal immune systems. While it can affect anyone, infants younger than 1 year old and those with weaker immune systems are at risk. Anyone experiencing symptoms of meningitis should contact a physician, according to the Washington Metropolitan Area Transit Authority. Outbreaks are fairly common, according to the NYDOH, with 500 to 700 cases reported in N.Y. state each year alone. Nationally statistics vary with estimates ranging from 25,000 to 50,000 cases of viral meningitis seen at U.S. hospitals each year, reports Everyday Health. Precautions such as cleaning with disinfectants and not sharing drinks or kissing someone with the disease can help stop it's spread. Washing hands and controlling rat and mouse infestations can help as well. While there is no vaccine for viral meningitis, parents should make sure they and their child are vaccinated. Vaccinations included in the childhood vaccination schedule such as the MMR vaccine and chickenpox vaccine can protect children against some diseases that can lead to viral meningitis.